Acute Ischemic Stroke – exclude intracranial haemorrhage as the primary cause of stroke signs and symptoms. Acute Myocardial Infarction (AMI) – to reduce the mortality and incidence of a heart failure. How does Activase (Alteplase) work? 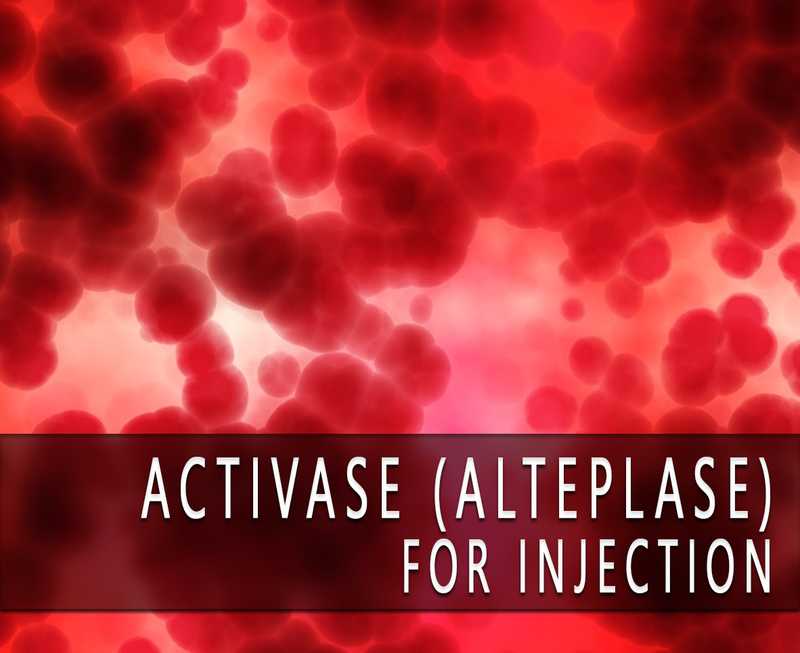 Activase (Alteplase) is a serine protease in control for fibrin-enhanced conversion of plasminogen to plasmin. It creates limited transfiguration of plasminogen in the absence of fibrin. When introduced into the systematic circulation at pharmacologic concentration, alteplase binds to fibrin in a thrombus. It converts the entrapped plasminogen to plasmin too. This initiates local fibrinolysis with limited systematic proteolysis. Activase (Alteplase) is a TPA or a tissue plasminogen activator produced by recombinant DNA technology. This is a white to off-white, sterile, and lyophilized powder for intravenous administration. This is also purified and sterile glycoprotein of 527 amino acids. It is synthesized using the complementary DNA for natural human tissue-type plasminogen activator. It is obtained from a human melanoma cell line. This is an FDA (Food and Drug Administration) approved prescription. You can buy this here at its very affordable price. How to use Activase (Alteplase)? The recommended treatment dose for Activase (Alteplase) is 0.9mg/kg infused over 60 minutes. This is to be used with the assistance of a doctor or nurse. If you will be using this at home, consult a doctor first. Do not twice the prescribed dose. What are the side-effects of Activase (Alteplase)? If you are pregnant or breastfeeding women, consult first your doctor before using this. Tell to your doctor if you have any allergies, medical history, or current medications. Avoid drinking alcohol if you are having this treatment. This can cause internal or external bleeding, especially at arterial and venous puncture sites. Avoid trauma and intramuscular injections to the patient while on this treatment.